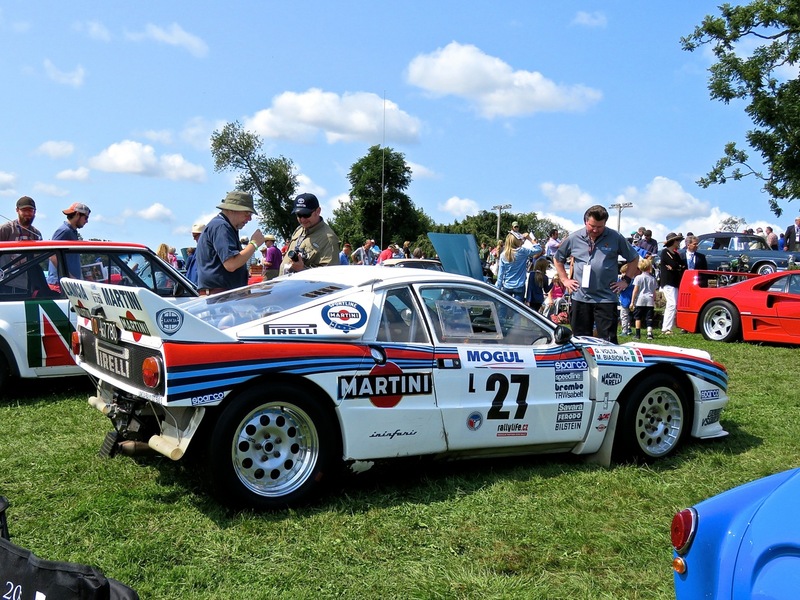 We had the pleasure of seeing this car and having a nice chat with the Amiral a few years back at Radnor Hunt. It’s a very unique and striking Ferrari with some unbelievable stories. This is how Ferrari does a 4 banger, to race competitively in the lower displacement classes. 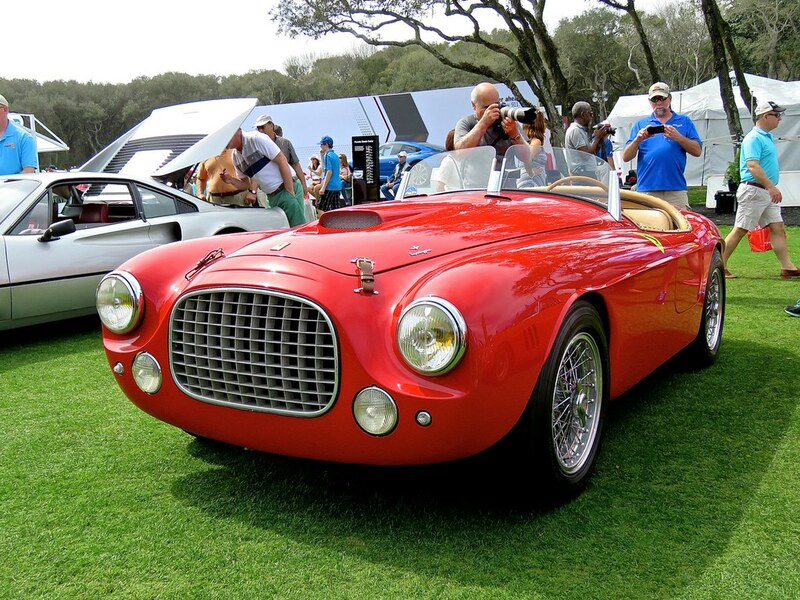 The 750 Monza was an evolution of the Ferrari 500 Mondial. 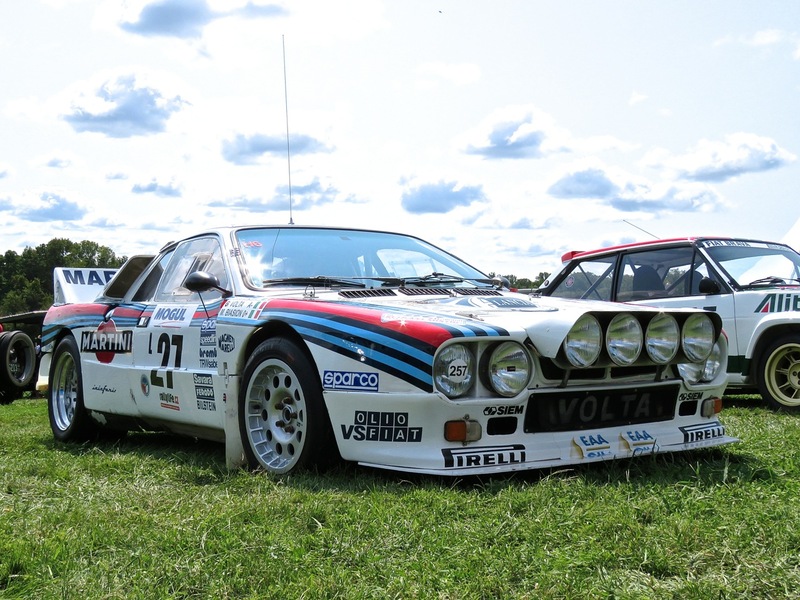 It featured a larger 3.0L inline four that produced a healthy 250hp… very healthy indeed when you consider this car only weighs 1,600 lbs. 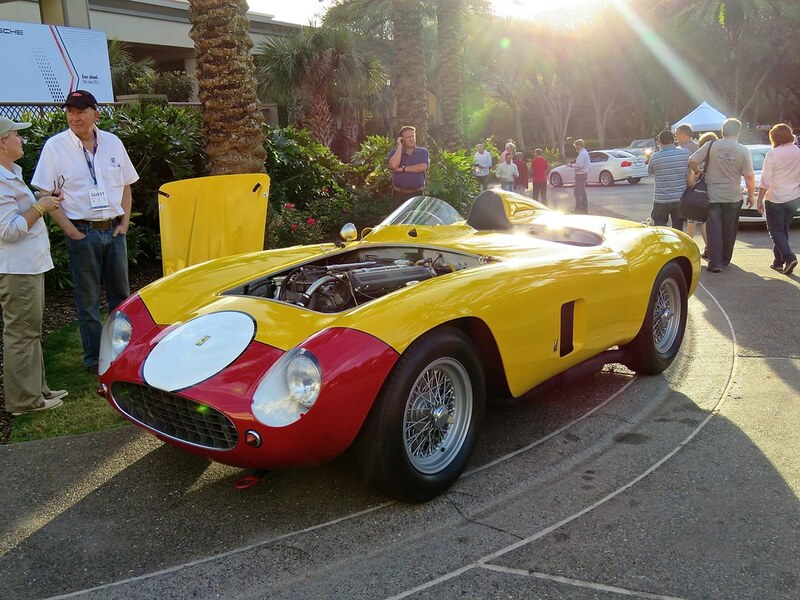 This 750 Monza showed up outside the Ritz Carlton during the Amelia Island Concours Weekend. It was quite stunning. Enjoy! This immaculate Ferrari 166 MM is one of those restorations that almost certainly looks better today than the day it left the factory. 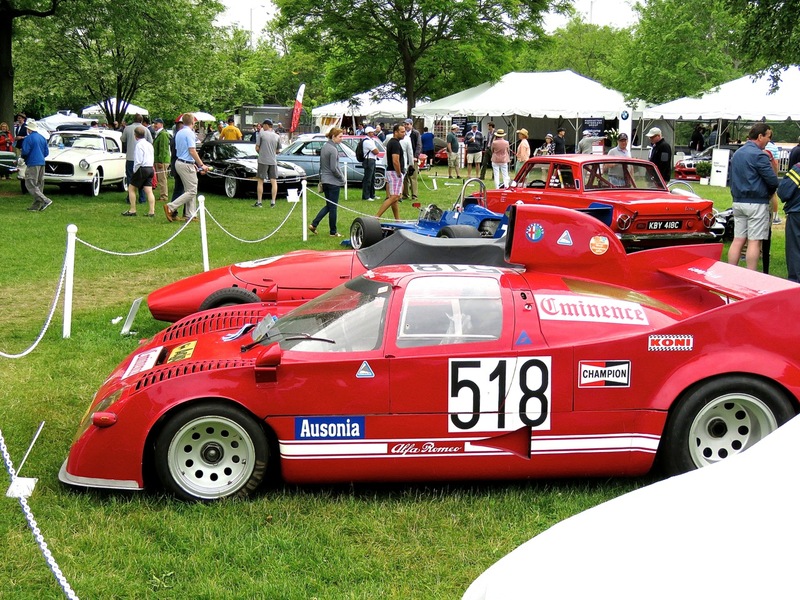 Keep in mind, these cars were originally built for sports car racing, and the MM in the name stands for Mille Miglia – arguably the most insane road race of all time. 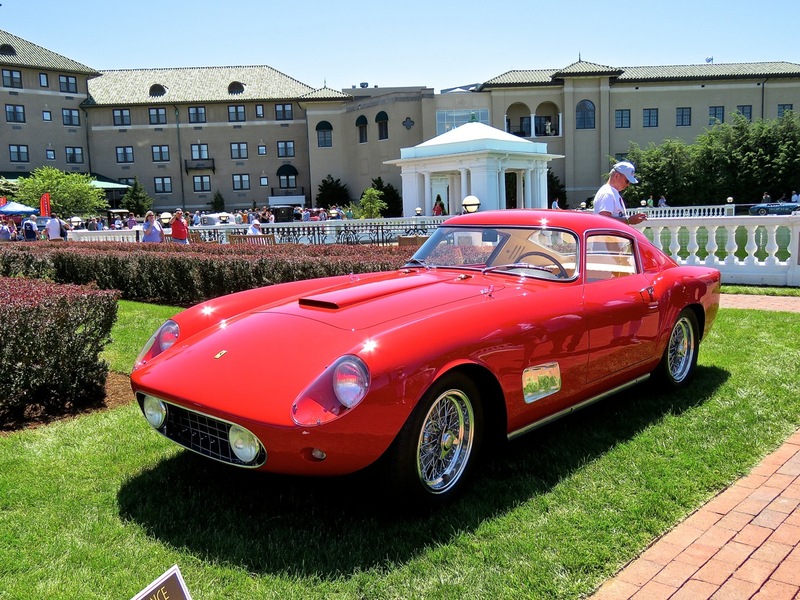 Beauty was secondary to the this Ferrari’s original function, but now that it’s a classic, worth millions of dollars, beauty has become its primary purpose. Given that change, it makes sense that the workmanship would take a step up during the restoration. 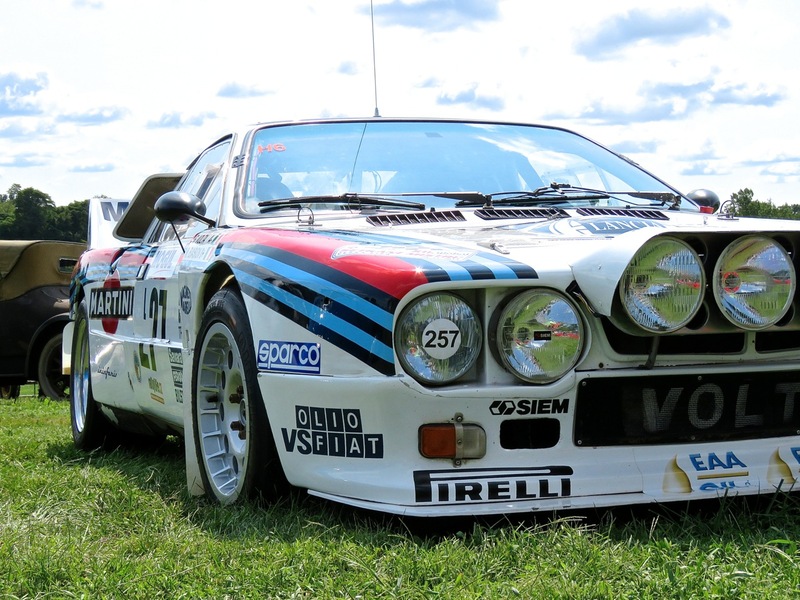 Racecars are mean to be pushed to destruction in the pursuit of victory, show cars are meant to be a timeless spectacle for the eye. Looking at these photos, it seems this Ferrari 166 MM has made that jump, and they did a spectacular job with it. Taking a trip down memory lane, looking through the photos I’ve taken over the years, I stumbled across this gem from Pebble Beach in 2011. 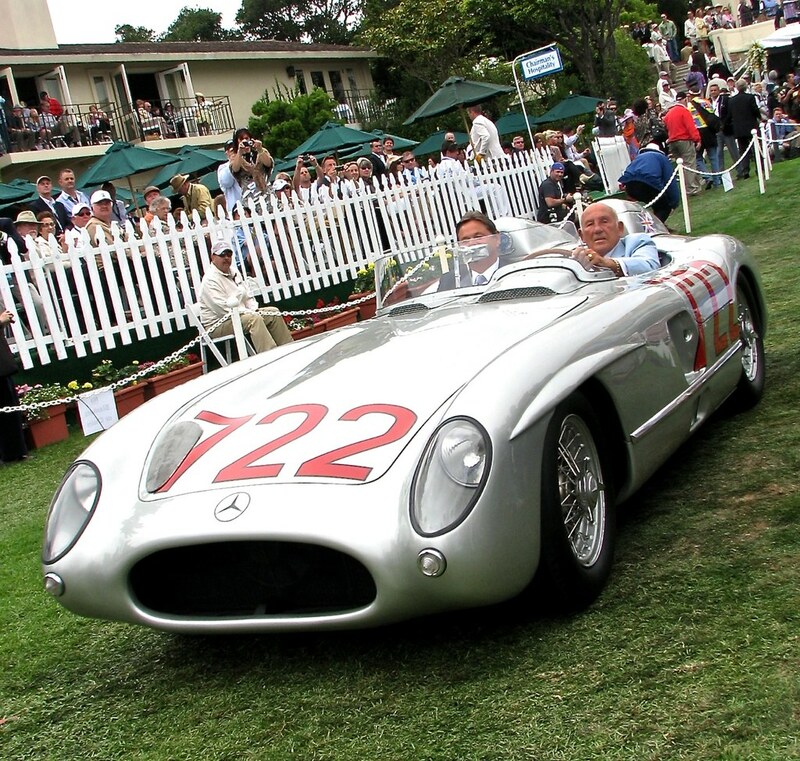 It’s none other than Sir Stirling Moss, and he’s driving the legendary Mercedes 300 SLR 722 in which he won the 1955 Mille Miglia. He set the all-time speed record for the Mille Miglia that year, and it has never been beaten. I realized I hadn’t shared it yet, and it definitely needed to be published. 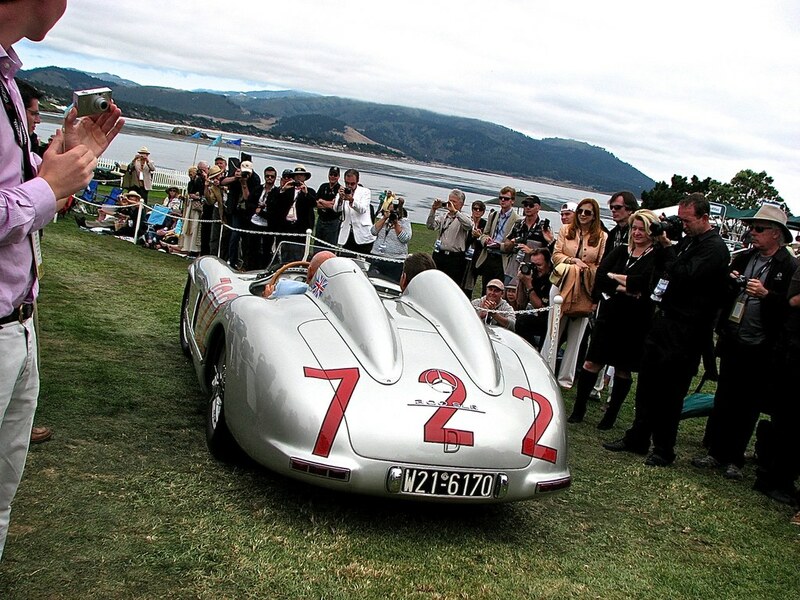 Sir Stirling Moss is a gentleman about as epic as they come. 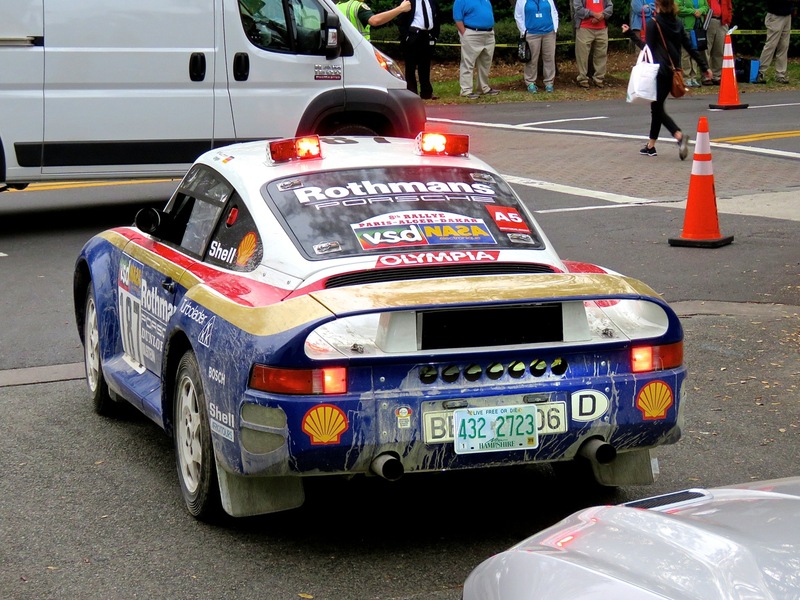 His wit is hysterical in conversation, and he’s an absolutely fearless driver. Stirling didn’t just put-put the SLR around at the event either. No, after I snapped the shot above, he took the 722 down to the shoreline for a quick photo-op, and then proceeded to absolutely flog the car up the side road behind the lodge. The crowd had moved on while Sir Stirling was having his photo-op, and everyone was astonished and surprised as the SLR’s racing-spec straight-six was fully unleashed, tires screeched, and we all saw a silver flash pass between the openings between buildings. The sound was delicious to our ears, and I was beyond thrilled to see the man himself give it the beans for old time’s sake. 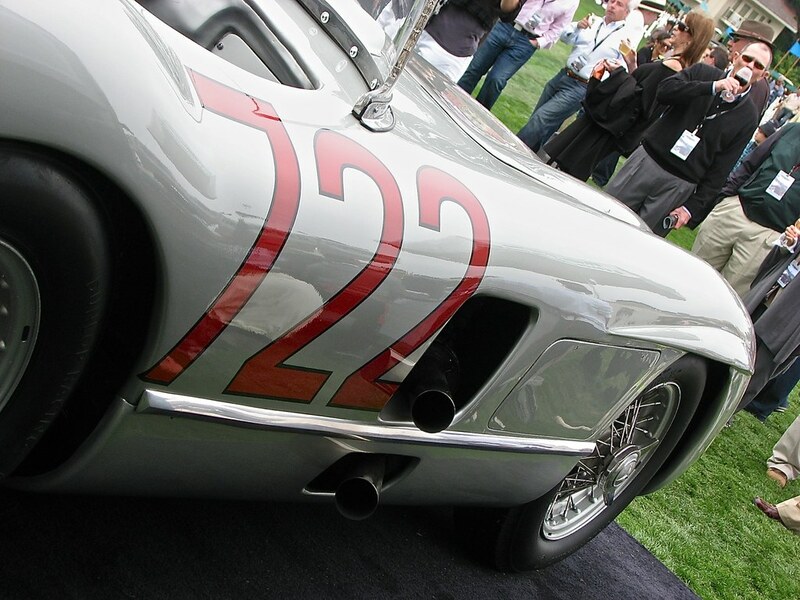 Sure, the 300 SLR 722 is about as valuable as a car can be, easily worth $50 million + if it ever went to auction, but who better to let it rip than the man who still know’s it best? It’s a moment I will surely never forget. 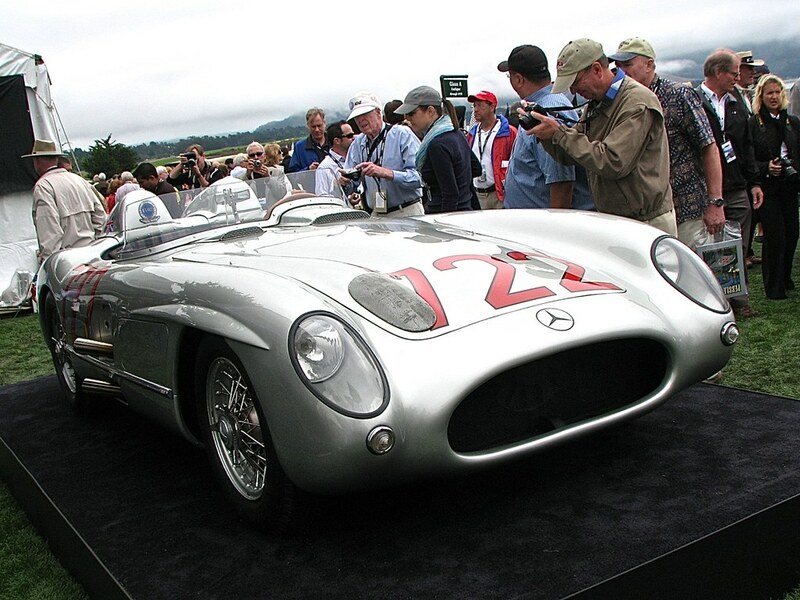 More photos of the car from Pebble Beach below, as well as two videos about Sir Stirling Moss and this most-insane Mercedes racecar. The folks at Petrolicious never fail to arose the agony of desire in my soul. I would commit any number of crimes just to be able to drive a Jaguar D-Type for 15 minutes, but the owner of this car has driven it over 20,000 miles. I can only imagine what that has been like!